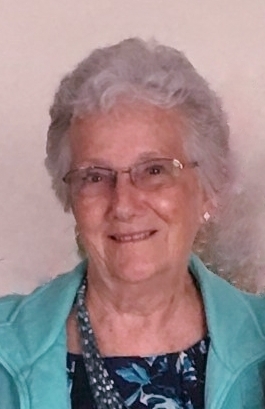 Shirley A. Adams, age 83, of rural Spencerville, passed away at 10:55 A.M., Sunday, December 2, 2018, at her residence. She was born December 15, 1934, in Fort Wayne, Indiana, to the late Homer Elsworth & Vera Mae ( Ankney ) Foreman. Her first husband, John Gilbert Sigler, is deceased. She married Robert Dean Adams on May 24, 1969, and he died May 11, 2016. Shirley is survived by four children: Brenda Rae Sigler ( Jim ) Wise of Hillsdale, Michigan, Kim J. ( LuAnn ) Sigler of Rockford, Jodi N. Adams Veit ( Eric Winner ) of Celina, and Troy Robert ( Cheryl ) Adams of Spencerville. Eight grandchildren: Ryan Blue, Steven Blue, Lauren Blue Keiffer, Angie Sigler Stephenson, J.R. Sigler, RJ Veit, Paige Veit and Tye Adams, and nine great-grandchildren, also survive. A sister-in-law, Rosemary Foreman, resides in Van Wert. She was preceded in death by one sister and three brothers: Eugene ( Norma ) Foreman, Homer Robert ( Leotta ) Foreman, Virginia “Ginny” ( William David ) Pollock and Byron Foreman. A 1952 graduate of Van Wert High School, Shirley worked at Federal Mogul and Teleflex in Van Wert, and retired from Milcor in Lima in 1997. She had belonged to the Farm Bureau. She was a member of St. Mark’s Lutheran Church in Van Wert, and had been attending Pleasant Grove Baptist Church on Shelley Rd., near Mendon. Shirley enjoyed her family and grandchildren very much. She liked attending her grandchildren’s sporting events, and enjoyed taking care of her yard and the farm animals. Toby, Shirley's dog, was a special member of her family. Shirley was very fond of hummingbirds, spending time feeding and watching them. Burial will be at Tomlinson Cemetery in Union Township. In lieu of flowers, donations are requested to State of the Heart Care, 1350 N. Broadway, Greenville, OH 45331.